Engraving Options: May be personalized with a single initial or three initials at no additional cost. The Personalized Travel Tech Case is a vegan leather tech case. 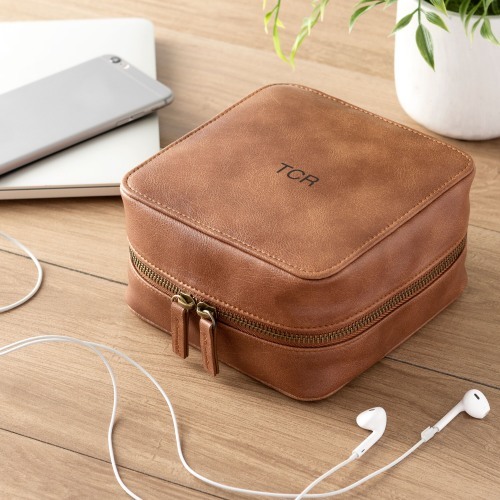 This tech case is the pefect solution to traveling with electronics and allows you to easily organize all of your tech essentials. With elastic enclosures and a zippered pocket, the travel tech case is spacious enough for computer chargers and more. Your tech gear will be safe and organized with this personalized travel case.